On July 11th 2018, His Holiness Patriarch Mor Ignatius Aphrem II received a delegation from the Syrian Social Nationalist Party headed by Mr. Antoine Isper, Head of the Political Office in Damascus, and Mr. Asaad Al-Amiri, Central Iraqi Delegate, at the Patriarchate Headquarters in Bab Touma – Damascus. 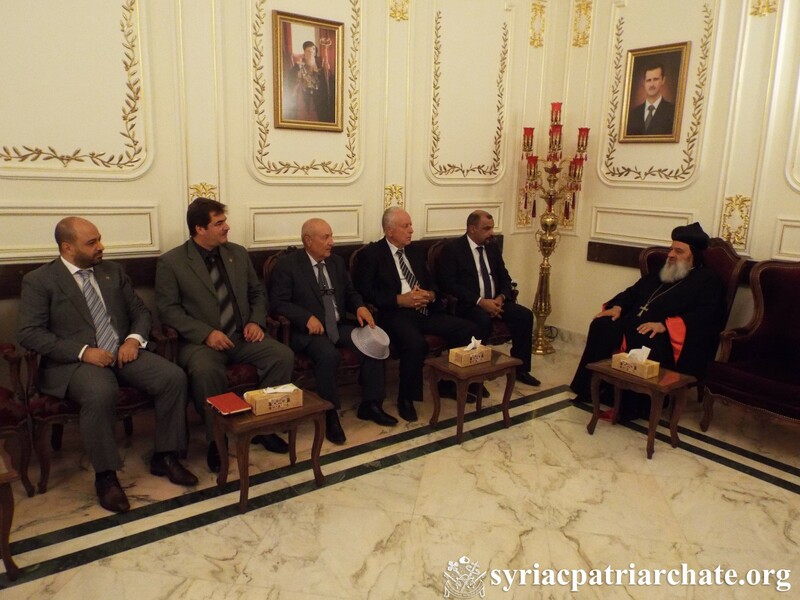 During their meeting, His Holiness and his guests discussed the recent issues in Syria, Iraq, and the region. Very Rev. Raban Joseph Bali, Patriarchal Secretary and Media Office Director, attended the meeting.